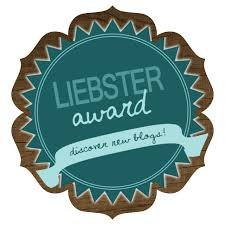 Casual Readers has again been nominated for the Liebster Award! We were actually nominated TWICE this week by Craving Books & Bookality. My teenage son is a genius! My eyes are actually amber-colored. My favorite place to read is at the beach. My husband thinks I'm crazy but loves me anyway. My family and I live on a farm, but we aren't farmers. My favorite snack is tortilla chips with fresh guacamole. My parents are deceased, and I miss them both every single day. My favorite guilty pleasure is watching reality shows about gypsies and little people. If you had to be the main character of a book, what genre would you want it to be? FANTASY! Which character are you most alike?I get this question a lot but still haven't formulated an answer. If you had the chance to slap one character, who would it be and why? Joffrey! Doesn't everyone? If you could revive one character, who would it be and why? I refuse to answer this question on the grounds of extreme spoilery. What book really let you down? I don't really read many buzz books so am rarely disappointed in those I choose to read. What is your favorite book-to-movie adaptation? The Princess Bride! And the one you dislike the most? Twilight. I still haven't seen all the movies as I lost interest after reading the series. What book would you want to be made into a movie/TV show? Daughter of Smoke & Bone! Who is your favorite author and why? It is impossible to choose just one! You can find a list of most of them here. What is the book that made you cry the most? The Book Thief made me bawl like a baby. What do you like to do when you read? Nothing, I don't like to have any distractions when I'm into a good book. Ebooks, hardcovers or paperbacks? My Kindle is my best friend. Why did you start blogging? Let's just say before social media existed. What do you want to get from blogging? I blog for sheer pleasure. My goal is to have fun and get more people to interact with one another in our Goodreads group. I love to talk about books! What is your favorite book series? Hmm. Of all time, The Chronicles of Narnia. Currently, A Song of Ice and Fire. What is your favorite book genre? FANTASY! What is your favorite TV or movie adaptation of a book? Answered above. Do you buy books or do you borrow from your local library? I get most of my books through NetGalley, but I also have a horrible Amazon addiction. I only checkout books from my local library digitally. What book do you recommend the most? One of my favorite reads (so far) this year was We Were Liars. What book do you wish you hadn’t wasted your time reading? This is the only book I've abandoned in a very long time. I'm being nice and not mentioning it by name, but the curious can click if necessary. When you don’t like a book you are reading, do you finish it or bear through it? I almost always push through until the bitter end with futile hopes that it will get better. What is your favorite thing about blogging? Making new friends like you guys! What is your favorite kind of book to relax with? I read just about everything. Usually, I don't read books deemed relaxing as that would totally put me to sleep. The more action the better! Has hype ever ruined your reading experience? What is the most intimidating book that you've ever read? Has a book ever made you so mad that you found yourself yelling at the characters? Whew, that was fun! I can't wait to read what the other nominees have to say. A huge thank you to Craving Books & Bookality for the nominations. Make sure to check out BOTH blogs, because they're awesome!